If you do not take care of your teeth now, you could end up spending countless dollars for dental procedures over the next decade. Dental treatments like dental implants and root canals are expensive and invasive dental procedures. Simple changes to your dental routine could make a difference in preventing such issues from occurring. Practicing preventative dental care is the best way to avoid these costs and save your smile! Improving upon your daily dental hygiene practices will aid in reducing the buildup of plaque that leads to tooth decay and other dental problems. 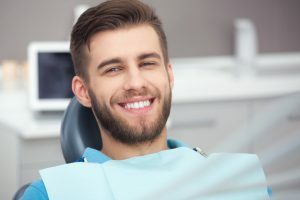 To begin a preventative dentistry plan, you need to focus on at-home care, chair-side dental cleanings and treatments, and professional dental advice. Some patients have conditions that increase their risk of gum disease and tooth decay. It is important to work with our dental team to create a unique patient treatment plan designed to prevent serious problems. Plan on scheduling at least two dental visits and cleanings in our Indianapolis dental office yearly to prevent major dental problems. Use Fluoride – If you want to prevent tooth decay, plan on using toothpaste with Fluoride. Fluoride treatments are done in our dental office for patients in need of additional care. Fluoride is the best method to strengthen your teeth and protect them against decay. Flossing – Daily flossing is another vital part of oral health. It is important for you to focus on flossing gently below the gum line to remove the bacteria that gathers around the tooth. Once you remove the bacteria, finish your cleaning with mouthwash to prevent gum disease. Use a mouthguard – Do you have problems clenching your jaw and grinding your teeth? A mouthguard is one of the best ways to protect teeth from having the enamel removed. If you play sports, mouthguards are one of the best devices to use to protect the mouth from injury. Healthy eating – A healthy diet can go a long way to improve your oral health. Avoid eating too much sugar and carbohydrates as they encourage the growth of bacteria. Increase the amount of calcium-rich foods you eat to help improve your oral health. Contact us today to schedule your cleaning and examination and be on your way to preventing tooth decay!